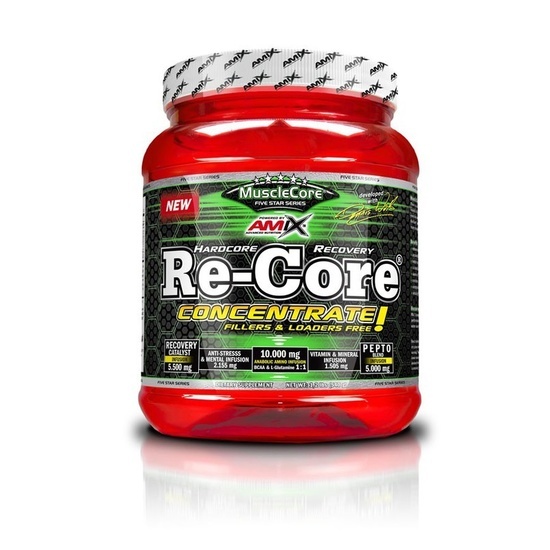 Re-Core® Concentrated - it's not just "ordinary" instant BCAA! Re-Core® Concentrated product is unique in its complexity! It includes a system of effective Matrix, which will not only prevent the collapse of badly built muscle but will also support the rise! Anabolic Amino Infusion (10000mg) comprises BCAA (leucine, isoleucine, valine) in a top ratio of 8: 1: 1 plus glutamine enriched important. 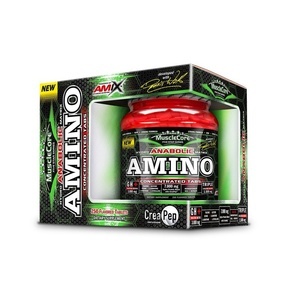 Anabolic Peptoblend Infusion is the matrix composed of peptides and patented CFM complex PepForm ™. Recovery Catalyst Infusion is used to promote regeneration and acts synergistically with individual components and their effect adds. Anti-Stress & Mental Infusion helps to decrease stress hormone cortisol and more effective regeneration after tréninku.Vitamin & Mineral Infusion provides a sufficient amount of vitamins and minerals to support regeneration and immunity. Re-Core® Concentrated among the most delicious in taste complex potréninkovým supplements on the market. Lemon-lime flavor will not only pleasantly refreshes, but will also provide after-training recovery. Re-Core® Concentrated is of course possible to drink during training, when you add an important drinking regime and consistently feeding your muscles substances important for the growth and regeneration of muscle mass. And what else wish more than to enjoy a delicious lemon lemonade with the feeling that you supply to your muscles exactly what they need. Recommended dosage: The daily dose is 24.5 grams. 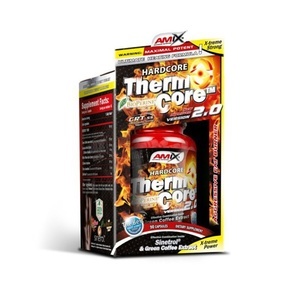 Mix 1 scoop (24.5 g) with 200-300 ml of water and drink immediately after physical exercise. Spam protection: What is three times three?287?